It’s been a long time since the market sustained a bull run this long. From quoting cryptocurrencies as ‘An Index of Money Laundering’ to the Bull Run created by the asset management giant BlackRock, it seems that the company has reshaped its views. The crypto market has taken a bull run and this time it has sustained for a longer period. Bitcoin was up by more than 5% last day, followed by which other tokens also performed better. BlackRock, the asset management company whose chairman and CEO, Larry Fink, earlier said that cryptocurrencies are “more an index of money laundering” than anything else. Even with that note of caution, some see BlackRock’s potential embrace of the technology as hugely significant. “As the largest asset manager in the world, its interest in crypto assets could be a catalyst for upward price movement and encourage other asset managers, even with more conservative strategies, to seriously explore investing in the crypto space,” Chris Yoo, a portfolio manager at cryptocurrency hedge fund Black Square Capital Management, told Reuters. Last year, two trading giants, CME Group and the CBOE, launched bitcoin futures products, lifting hopes of institutional involvement in cryptocurrencies. Many industry experts believe that increased involvement from institutional investors in the cryptocurrency space will boost confidence in an otherwise dubious market. That means not even a fraction of BlackRock’s $6.3 trillion has been invested in Bitcoin, Ether or any of the other so-called coins, and it signals that institutions remain skeptical of cryptocurrencies as an asset class. For now, Fink said, BlackRock is studying coins to see how they perform and to determine whether they become “legitimized” as alternatives to cash. 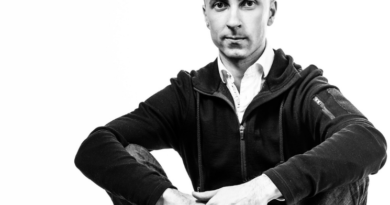 Terry Simpson a multi-asset strategist with a team will investigate ways of taking advantage of cryptocurrencies and blockchain. While downplaying his firm’s interest in crypto, Fink said he’s “very excited” about blockchain technology, possibly as a means to enhance BlackRock’s Aladdin system for risk management, portfolio management, and trading. The reason the institutional investors have been reluctant to embrace cryptocurrencies is the downtrend that the industry faced last year since December. Apart from that illiquidity, theft, lack of custody services and fraud being the fundamental reasons which acted as a roadblock for these institutions to adopt this technology. The government and the regulatory bodies are acting on such issues towards making the ecosystem as transparent as possible for the increased adoption of this technology. As recently SEC’s approval for CoinBase to list security tokens and provide its customers with a broader range of financial services opens a new dimension for institutional investors. 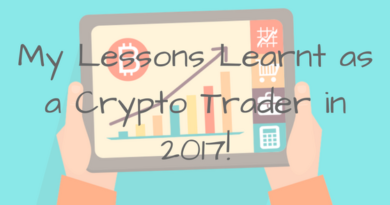 My Lessons Learnt as a crypto trader in 2017! Buy High, Sell Higher: An infallible approach to Crypto Trading!